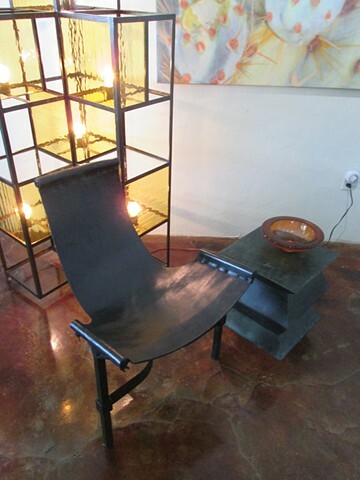 Three- leg occasional chair with leather sling. Custom light sculpture made of iron. Square occasional table available in three finishes.